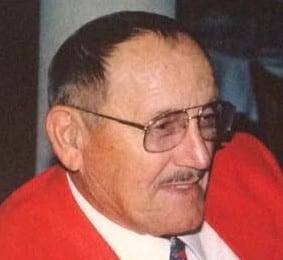 Robert Lowell Wyse of Wauseon, Ohio passed away Saturday, January 12, 2019 one week before turning 94 years old. He was born in Wauseon January 19, 1925. His parents were Florence Patterson Wyse and Raymond Wyse. Bob grew up on a farm and attended Pettisville school. He was active in band and choir. He was also a talented athlete and played basketball and baseball. He was selected as “The healthiest boy in Fulton County” at the Ohio State Fair.Bob served his country on board a ship in the Pacific during the 2nd World War. He was very proud of his service but rarely spoke about it. He married Dorothy Clair on June 27, 1946 and she preceded him in death in 2003. He and Dorothy owned and managed several businesses over the years…always working hand in hand. Bob and Dorothy spent 25 happy years together in Arizona after their retirement. Bob was a member of St. Casper’s Catholic Church, the Wauseon VFW and Wauseon American Legion. Left to cherish his memory are four children, Linda (Gene) Bridges of Wauseon, Jane (Jim) Knipp of Mesa, AZ, Rita (Scott) Stewart of Perrysburg, Ohio and Tom (Beth) Wyse of Sun City, West AZ. 8 grandchildren and 14 great grandchildren. He was preceded in death by his only sister, Wauneta Smith, and his parents. The family would like to thank Fulton Manor staff for the wonderful care they gave to their father. Memorial contributions can be made to the Wauseon VFW or American Legion. As per Bob’s wishes there will be no visitation or service. Edgar-Grisier Funeral Home in Wauseon has been entrusted with arrangements. Online condolences may be offered to the family at www.grisierfh.com. 2 Comments on "Robert Wyse (1925-2019)"
Remember your dad with fine memories, my daughter Kim worked at the manor. Our classmate Tom, had a real up to date and one cool Father, to be sure. Always a pleasant Man, to speak with .He rests in Heaven with his darling wife Dorothy.Ol Bob, used to treat the whole football and basketball teams to breakfast at The Barn.Breakin’ Bread with Bob, always a Treat. .